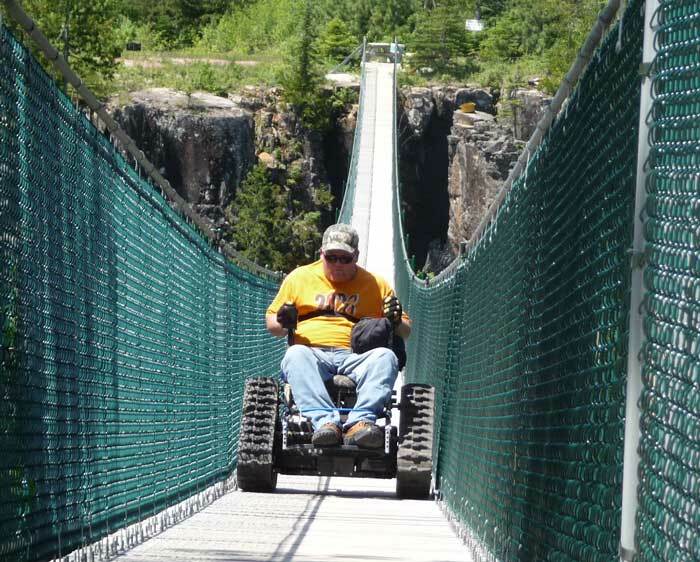 The Action Trackchair is truly an all terrain wheelchair for those who want to go where conventional wheelchairs wouldn't have a chance. 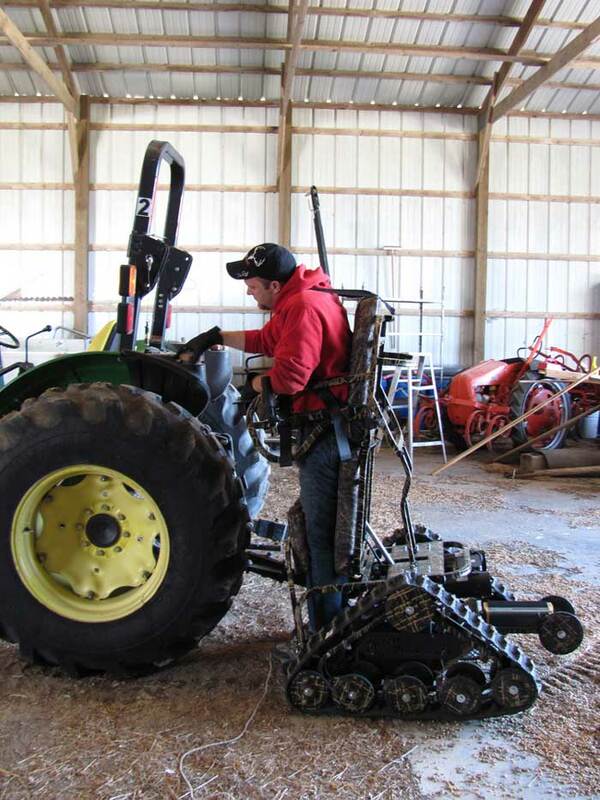 It's design uses the electronics of a conventional power wheelchair but instead of the motors powering a pair of wheels they power a pair of tracks. 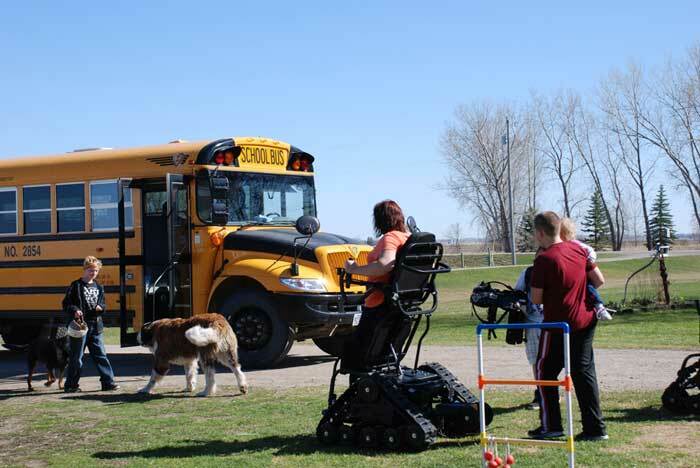 The trackchair was is manufactured in the US and available in Canada from Action Mobility Inc. in Cambridge, Ontario. 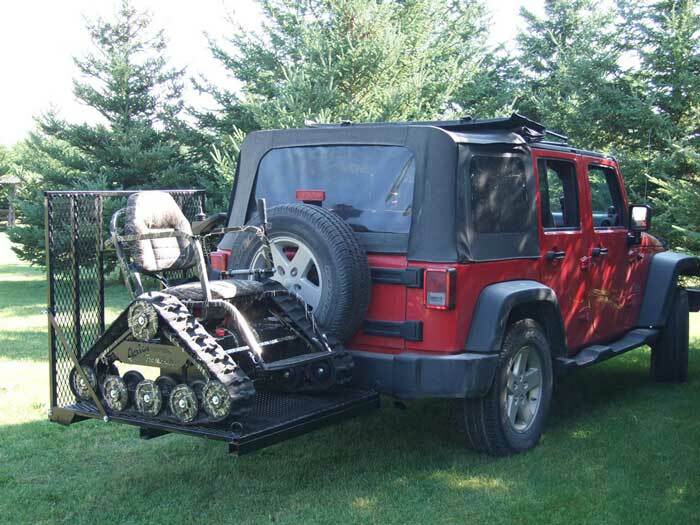 After 30 years of being in the recreational motor sports business, Tim Swenson decided to help people to have the freedom of getting off the normal path. 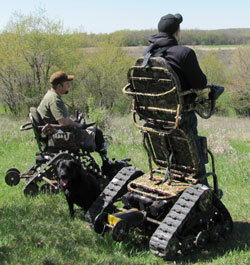 He started developing this all terrain wheelchair in 2008, and called it the Action Trackchair. Tim and Donna have a son Jeff, who is in a chair, and know of many other friends that would love the freedom of hunting, hiking, going to the beach, fishing, and other similar activities. 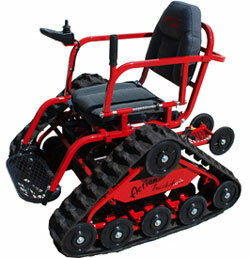 The Action Trackchair enables people to have access to those types of activities. The Trackchair is available in two models, four upholstery colours and fourteen optional frame colours. There are also a variety of options to make these chairs more functional and to accommodate the needs of various outdoor activities. The standard Trackchair is available in 5 seat widths from 16" to 24" in 2" increments. The overall width varies with the seat size from 37" to 43" so you won't be going through any conventional doorways but it was never intended to be an indoor chair. The overall width of the chair will provide a stability not found in normal power wheelchair and needed in rough terrains for safety. The Trackstander is very similar to the standard Trackchair but includes a seat frame that will stand the user up when needed. The Trackstander comes in 18" or 20" seat depths and only two widths, 16" or 20". Width Between Armrests 37" to 43"
Width Between Armrests 37" or 39"